Growing up our visits to Iceland were much more frequent than they are now. The food, while simple, was comforting and after seeing family is what I most look forward to each visit back. I've often asked my amma for various recipes and they are generally a vague list of ingredients with a lot of "until it looks right" type instructions, I've only successfully duplicated a few of them so far. 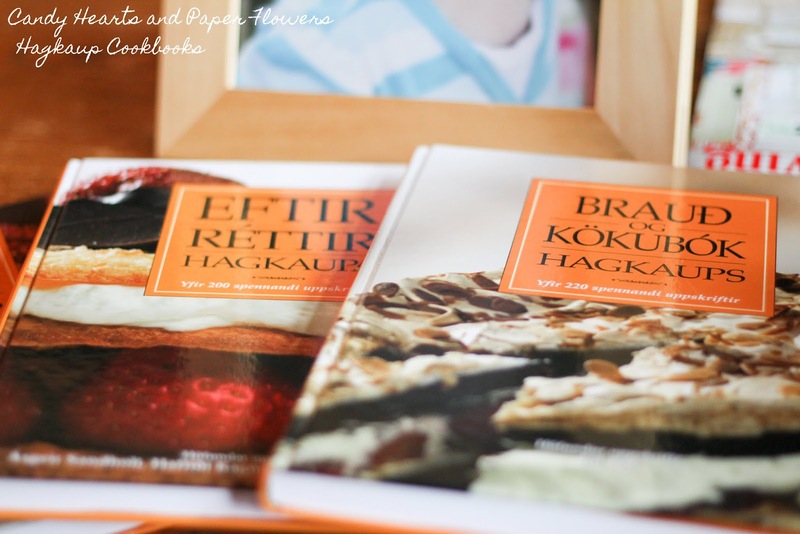 So cookbooks were high on my priority list of things to acquire while in Iceland. I did buy a handful of baking cookbooks from Hagkaup, with recipes for things I generally want to make at Christmas time. Baking is so fussy, so having the right amounts or ingredients will be nice. 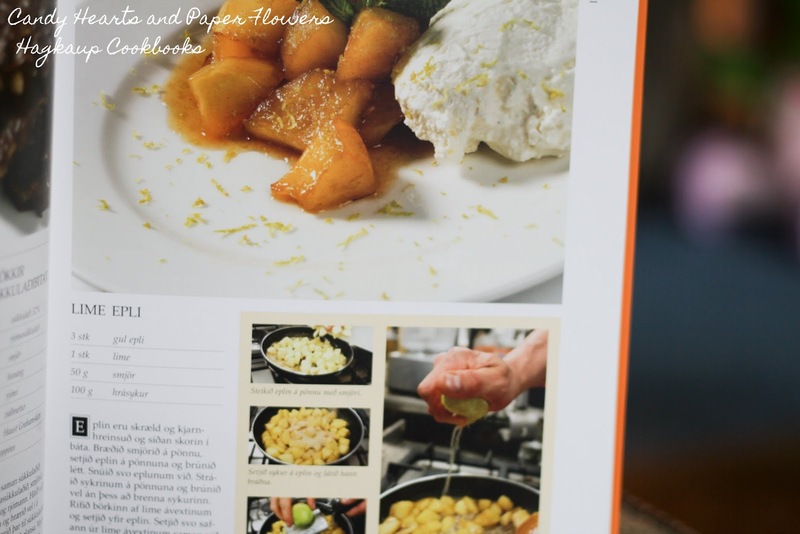 They have full color pictures for each recipe and several have step images as well, to help with what looks right. 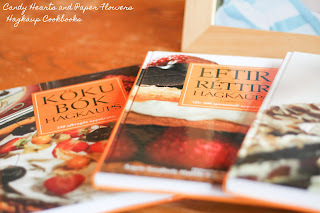 I also brought back with me a cookbook simply titled Matur og Drykkur (Food and Drink) by Helga Sigurðardóttir. My mother has a well-used copy, and the book I brought back is my amma's well-used copy She's going to find me a copy in Iceland and bring it for me in October, and I'll be borrowing hers in the meantime. This is sort of like the bible of traditional Icelandic cooking, more on that book to come in a later post. A bit of a teaser, the first recipe I'll be sharing doesn't come from these books. It is something I've been wanting to be able to make for a long time, but couldn't. Mainly, because it is not available locally, and you have to have some to make some. So I couldn't even make some from scratch, until now. I brought skyr back from Iceland, so I can make skyr. Now that I have some as long as I consistently make it every 3 weeks or so I'll have a steady supply. Skyr is a very thick nonfat yogurt, often described as a yogurt cheese. It is a little looser than cream cheese, but thicker than greek yogurt, maybe a thick sour cream consistency. As a small child sitting in my amma's kitchen, often still groggy and rubbing the sleep from my eyes, my breakfast was generally served to me. A bowl of skyr placed before me, lightly sweetened and just the right amount of milk mixed in to it (just until it looks right). We often sprinkled the top with just a bit of sugar and poured in milk around it. Heaven was a small mound of thick, creamy skyr swimming in a shallow pool of milk. I never ever stir it together; instead I was careful to have each bite contain the perfect ratio of skyr to milk. Even better were the mornings that grautur was offered to replace the sugar, my favorite was strawberry. Like a pourable strawberry preserves, nothing could compare to skýr and jarðaberjagrautur (strawberry grautur). I still remember my afi reading the newspaper, my mother and amma drinking coffee and conversing in Icelandic, while us kids relished our morning skyr. 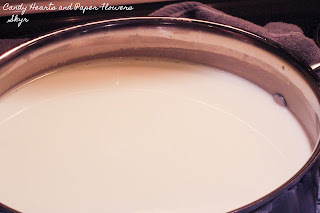 The whey is currently draining off my skyr, so I'll whip it up and take lovely pictures tonight. It's a 2 day process to make, but most of it is unattended and the skyr makes itself automagically. I'll share the recipe and whole process tomorrow.